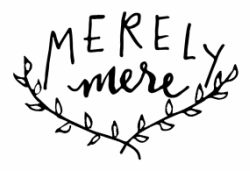 Hello, My name is Mere! I believe that life is one big adventure and I embrace it by learning something new everyday & sharing what I know with other people. Deeply rooted in Southeast Pennsylvania, I am constantly inspired by the natural landscape that surrounds me. I was a studio art major at University of Mary Washington & am currently a full-time freelance artist. I am also proudly a member of the Rabbit Rabbit Crew in Philadelphia.